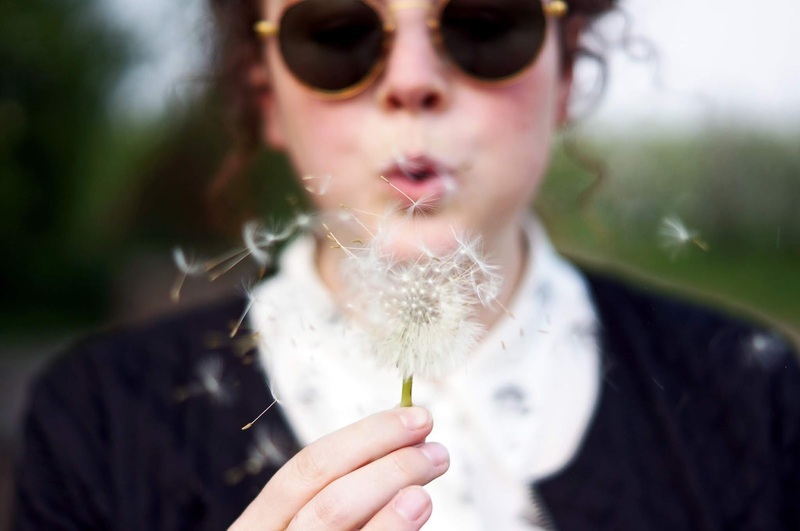 Here are several approaches to breath awareness for adults and kids. Some of them are intended to reduce stress and anxiety, while others help us focus on whatever is happening in the present moment. "Where can I find mindfulness scripts for my students?" Rather than reading from a script, please do the practices yourself several times before leading a group or class, so the phrasing feels natural to you. In fact, you may actually want to use recordings with your students for a while before starting to lead the practices yourself. Why Focus on the Breath? In Looking at Mindfulness, Christophe André gives several advantages of breath-based practices. "It is easier to fix [our attention] on something that is always present but never still. This is why we can remain fascinated and awake for long periods looking at the waves of the sea, the flames of the fire or the passing clouds—they are always there, but never the same. No breath is just like the one before or after. We can exert a limited but real control over [the breath] by speeding it up or slowing it down. Our breath is invisible; we constantly forget it is there, but its role is vital—we have an absolute need to breathe. Similarly, there are many other things in our lives that we rely on but are unaware of. Breathing is at once voluntary and involuntary, teaching us to accept that we cannot control everything. This is something that our society is keen to have us unlearn, trying to make us think that everything can be controlled and mastered." For more on the advantages of formal, breath-based mindfulness practice, see 6 Reasons Why Mindfulness Begins with the Breath by Ed Halliwell at Mindful.org. And at Edutopia, John McCarthy explains how Getting Mindful About Breathing can help educators "manage stress, listen more deeply, and defuse tense classroom situations." 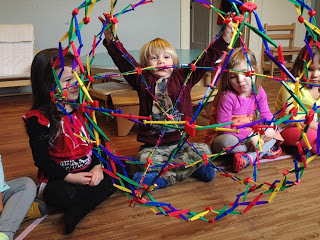 A popular resource for teaching mindfulness to kids is a Hoberman Sphere. You can see one in the picture above, from an interview with Renee Metty, the founder of The Cove School, a preschool specializing in mindfulness and social and emotional learning. Four Different Activities, plus instructions for how kids can make a 'breath ball' with their own hands, by Christopher Willard and Andrew Jordan Nance at Mindful.org. YoungYogaMasters.com explains about a Common Mistake many teachers make: children need to pace their breaths differently because they don't have the same lung capacity as adults. You may also be interested in Mindfulness and Yoga for Young Children: Tips, Books, Apps, and Activities. Dr. Dzung Vo includes two breathing practices with his Guided Meditations at MindfulnessforTeens.com. They're also appropriate for adults; in fact, when I use guided meditations personally I almost always choose something from Dr. Vo's site. "What kinds of things do you do when you're waiting?" Rather than feeling impatient, Fred Rogers suggests taking a few slow, calming breaths. The next video is simply a shape that expands and contracts. This can be a nice alternative to verbal instructions, and a good way to practice slowing down the breath. The next two videos are from Timothy Scott, Jr. (a.k.a. 'JusTme') a mindfulness instructor and mindful hip-hop artist. The JusTmindfulness youtube channel has many more mindfulness practices and songs. I've also included some of his mindful hip-hop on the Song Playlists for Teachers, including 'Don't Flip Yo Lid' on the 'All About the Breath' song playlist. The final group of videos are from the 'Breathe with Me' PBS series by songwriter and kids' yoga expert Kira Willey. I hope the above resources are useful for your classes or for your own personal practice. You can keep exploring different approaches to mindfulness and complementary practices (like compassion and gratitude) in the links below.